A Complete Insurance Agency, Inc. - Your # 1 Source for the Cheapest SR22 Insurance Quotes in Colorado. In the State of Colorado, an SR22 is a vehicle liability insurance document used by the Department of Motor Vehicles (DMV) offices. It provides proof that a driver has the minimum required liability insurance coverage for the state of Colorado. A DMV may require an SR22 from a driver in order to reinstate his or her driving privileges following an uninsured car accident or conviction of another traffic-related offense, such as a DUI. An SR22 may be required for 3 years for driving without insurance and up to 5 years for a DUI. 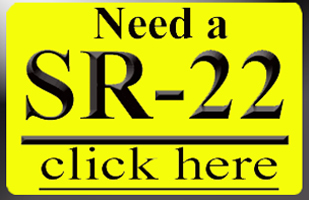 For drivers who require SR22 documentation, but do not own vehicles, the state laws may require such drivers to obtain and provide proof of a non-owner SR22 policy to be eligible for reinstated driving privileges. If an SR22 should expire or be cancelled, the insurance company is required to issue an SR26 form, which certifies the cancellation of the policy and the driver may lose their driving privileges. SR22 Insurance for Everyone in Colorado! Cheap SR22 Quotes from multiple insurance companies with just one form. Bad record no problem! Instant SR22 filing available! Let - A Complete Insurance Agency, Inc. help you improve your coverage and save you money. Call or request an online free, no hassle SR22 insurance quote, today. A Complete Insurance Agency, Inc. servicing areas include, Denver, CO, Aurora, CO, Arvada, CO, Englewood, CO, Lakewood, CO, Littleton, CO, Golden, CO, Wheat Ridge, CO, Highlands Ranch, CO, Evergreen, CO, Morrison, CO, Westminster, CO, Broomfield, CO, Northglenn, CO, Brighton, CO, Commerce City, CO, Centennial, CO, Greenwood Village, CO, Boulder, CO, Castle Rock, CO, Parker, CO, as well as the entire State Of Colorado. Colorado SR22 Insurance Information, Additional Resources. Denver, Colorado metro area - Driver's License Locations.